iScripts EasyCreate is a private label online website builder. This software allows you to start an online business by offering website building services to your customers. Equipped with drag and drop design functionality, crisp templates and social sharing capabilities, this online website builder software will allow you to provide the best website building features to your users. Customize the script to fit your needs or use it as a complete and standalone solution! Create your own store building site similar to Wix.com. Users will be able to create their own website as a free or paid service. Upon creating a site, users will login and choose their plan, template and begin building their own site instantly. You set the billing cycles as well as the amount. Once completed, users can download the site or publish it to their hosting account. These website building services can be used for general or vertical markets. 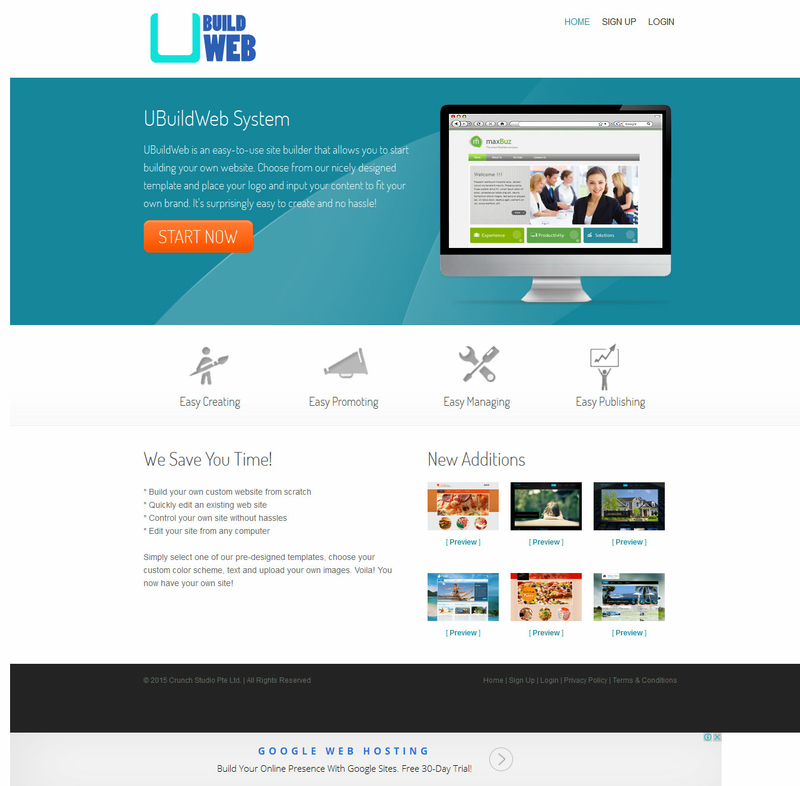 Web design businesses and web hosting businesses can take advantage of this model. By offering a free site where users can create websites, you can gain leads for your existing business. Market to these potential customers to grow your existing client base. 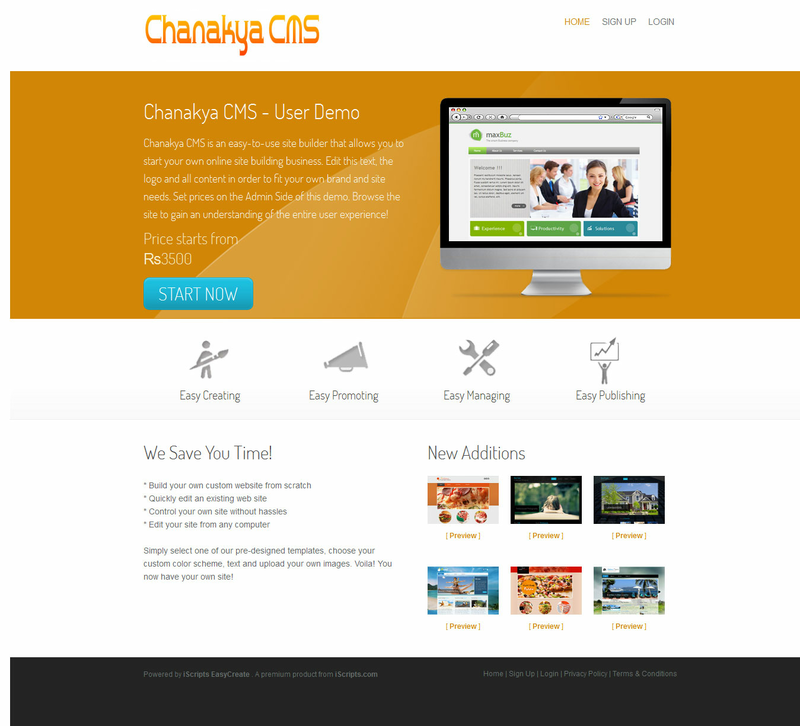 Clients can create their own site using the website builder. After the first step, you can offer additional services. If you are an agency and have a number of sites to manage, you can utilize iScripts EasyCreate as a platform to create and manage multiple websites. Your clients can edit the site content on your server. The scalable and secure site building software allows you to efficiently manage all your clients. "I engaged iScripts to design a customized version of printlogic for my company and the follow up from contract initiation to go live was a very smooth process. The team at iscript were very accommodat"
"I really appreciate you from the initial point of contact all the way through the thorough detail you and your team at iScripts have given me on my project. I couldn't be a happier client!" "iScripts was a game changer for me. I knew what I wanted to do and how I wanted to do it. The challenge for me was to cost effectively build the application. I looked at a number of different options "
"For turnkey eCommerce solutions, flexibility and great customer service we turned to iScripts.com to fulfill our needs. I would recommend them to anyone entering the eCommerce marketplace." Whether your customers need a personal website or if they want to create a website to promote their business, they can create the perfect website using your services. This online website building tool is easily installed on your server. Customize the script to fit your businesses needs by setting your logo, brand information, marketing messages, special offers and custom support links on the interface. After completing this phase, you can begin to offer website building services to your clients. 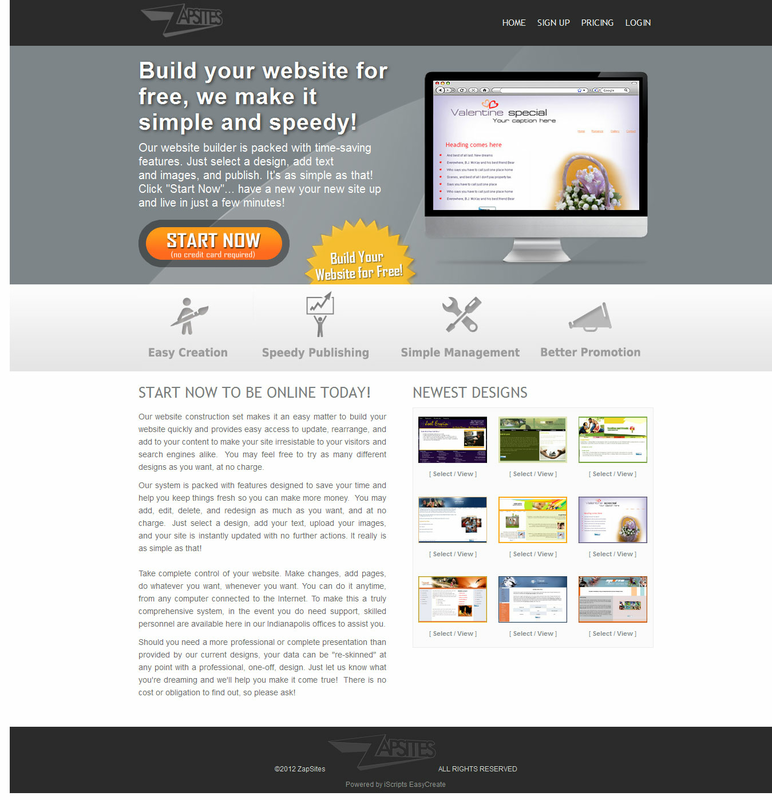 iScripts EasyCreate makes creating and managing a professional website quick and easy for your customers. The step-by-step approach paired with the drag and drop functionality allows users to build and upload websites within minutes. To build websites, users do not have to have any HTML skills. At the same time, an expert user can control generated code to achieve a precise look and feel. Users create standalone websites and have the choice of uploading them with a FTP client or publishing them as a zip file. Users can modify and rearrange their web pages at any time and utilize a wide array of tools provided by software including guest books and custom forms. Users can also optimize their websites for search engines using the built-in promotion tools. You may be launching a site building service for the first time. Maybe you are adding this feature to an existing website or business you already have. Either way, using iScripts EasyCreate is easy and allows you to create an optimal method for your users to create basic, yet professional websites for personal use of their own businesses. The most important aspect of creating your site building business is gaining and attracting potential users. You can use your own marketing methods to promote your site while focusing on the main benefits of using your service. Your customers will not need programming or technical experience to build a site. Site are built instantly, with one click of a mouse. After selecting an appropriate template, users will choose their own widgets such as forms, Google AdSense, sliders, contact forms, and social sharing features. The drag-n-drop features make site creation easy and flexible while tailoring each site to the individual users' needs. After iScripts EasyCreate is installed on your server, you will brand the site accordingl y by using the conten t management system and adding your own logo. Decide how to operate your site, which payment gateways to utilize, and the price of your services. If you feel that your website requires additional design or functionality modifications, do not hesitate to contact our team of experienced and affordable programmers. Since the software is open source, you can also choose to use your own PHP programmer to complete these changes at your own discretion. Our site building software is a feature-packed software solution that is easy to install and maintain. iScripts EasyCreate already includes a range of features included within your one-time purchase. Reduce the amount of time and cost required to set up and operate a professional website building business while also saving time managing operations. If you have an existing business, you can encourage customer satisfaction by offering users a platform to create their own professional, yet highly individualized personal or business website. Take advantage of the built-in site templates available to users and add more of your own to the system. Add your own templates to make your site builder unique and targeted. Customize and operate your site using various payment gateways, modes and built-in operations. Your customers can create an unlimited number of websites as there are no per-website fees. Widgets for User Websites: Social Sharing, Forms, etc.